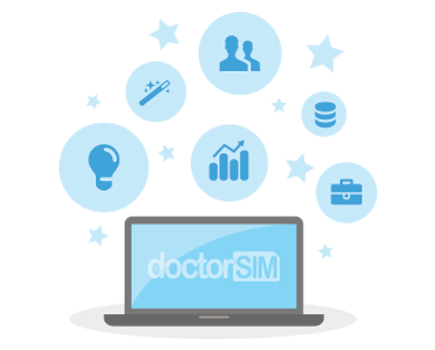 Have you tried to, or want to, unlock your BlackBerry with doctorSIM but are having problems? Unlocking your BlackBerry via IMEI is the fastest, easiest and safest way to be able to use your phone on any network, save on your monthly bill and increase its resale value. 1. - My BlackBerry doesn’t prompt for the unlock code when I insert a SIM card from a network provider different to the original. 2. - I get a “Code error” message when I enter the MEP code to unlock my BlackBerry. 3. - The new MEP code still doesn’t work. 4. - My BlackBerry does not connect to the internet. 5. - I get an “Enter Password” message. 6. - How do I obtain the MEP code of my BlackBerry? 7. - What is the PRD? 8. - I'm not sure if I selected the correct original operator of my BlackBerry. 1. My BlackBerry doesn’t prompt for the unlock code when I insert a SIM card from a network provider different to the original. Verify that the phone prompts for the SIM card’s PIN. This number is a security measure your BlackBerry will normally request by default (if activated). If your phone doesn’t prompt for this security number it means the phone is not recognizing the SIM card being inserted, the reason for which it neither prompts for the network unlock code. Make sure the SIM card is correctly inserted into the SIM card reader. If that doesn’t solve the issue, we recommend inserting a different SIM card to rule out the possibility that the first SIM card is defective. 1. Turn on your BlackBerry. 2. Enter Options/Advanced Options/SIM Card. 3. To access a hidden service menu, type MEPD (use the shift key to type capital letters). (Do not worry if the letters do not appear on screen as you type). 5. The phone will prompt "Enter Network MEP (10 attempts); enter the code we provided and press OK. VERY IMPORTANT: Do not run out of unlocking attempts, if you do the phone will lock permanently to the original network. 2. I get a “Code error” message when I enter the MEP code to unlock my BlackBerry. First, check you have unlocking attempts remaining using the unlock method without a SIM card inserted or with a SIM card from a network provider different from the one the phone is locked to (see point 1 above). If the number of unlock attempts remaining is zero, your BlackBerry cannot be unlocked using this method. Initially, all BlackBerry phones have 10 unlock attempts. If you still have unlocking attempts remaining and you sent us the PRD to calculate your unlock code, we can check it and compare it with the MEP of your device. The MEP is an internal code which allows us to recalculate your unlock code and has the following format: MEP-12345-678. 2. If you have not installed BlackBerry Desktop on your computer, please install the drivers you can find here: http://tarifas.doctorsim.com/docs/bb_usb_drivers.msi. If you cannot find your country, please select USA (English). Connect your BlackBerry to your computer, wait for the system to recognize it and then unplug your BlackBerry. Click on "Read Phone", connect your BlackBerry to the computer and two codes will be displayed: IMEI and MEP. Please send us those two numbers by e-mail. You will then receive an e-mail from doctorSIM with your new unlock instructions shortly. 3. The new MEP code still doesn’t work. Turn on your BlackBerry with no SIM card inserted inside. To access a hidden service menu, type MEPD (use the shift key to type capital letters). Let us know which of the above options has the lock Enabled. 4. My BlackBerry does not connect to the internet. 5. I get an “Enter Password” message. After typing the PIN for a SIM card from a different network provider and prompted to “Enter Password” (attempt X of 10), type your security password. This is a personal password known only by the owner of the phone and should be typed before being prompted for the unlock code (MEP). 6. How do I obtain the MEP code of my BlackBerry? Once you’ve sent us this information, you will shortly receive the correct unlock code to successfully unlock your BlackBerry. If the program used to obtain your MEP code doesn’t recognize your BlackBerry, you will need to follow the steps again. First, press “Read Phone” and then connect your BlackBerry to your PC so the program can read the IMEI number and MEP code. Also, confirm to us the IMEI number (type *#06# on the phone’s keypad). 7. What is the PRD? The PRD is an additional identifier which allows for obtaining the unlock code for your BlackBerry with greater speed and reliability. Your BlackBerry's PRD is located on the sticker under the phone's battery. 8. I'm not sure if I selected the correct original operator of my BlackBerry. To successfully unlock your BlackBerry cell phone via IMEI it is necessary to indicate the correct network provider. If you think you may have selected the wrong network, verify this information by using our BlackBerry Original Operator Check. Select either "Original Country Unknown" or "Network Operator Unknown or Not in List" if you prefer not to use our IMEI phone check and are unsure to which network your BlackBerry is locked. NOTE: If we did not answer your questions or you have a different problem unlocking your BlackBerry, reply to the instructions e-mail we sent you including the message history with a detailed explanation of the problem you are having. In this way, we will be able to locate your request and assist you much quicker. If you didn’t make your request through doctorSIM, we recommend you click here to request an unlock code for your BlackBerry. It's the fastest, easiest and safest way of unlocking any Blackberry.